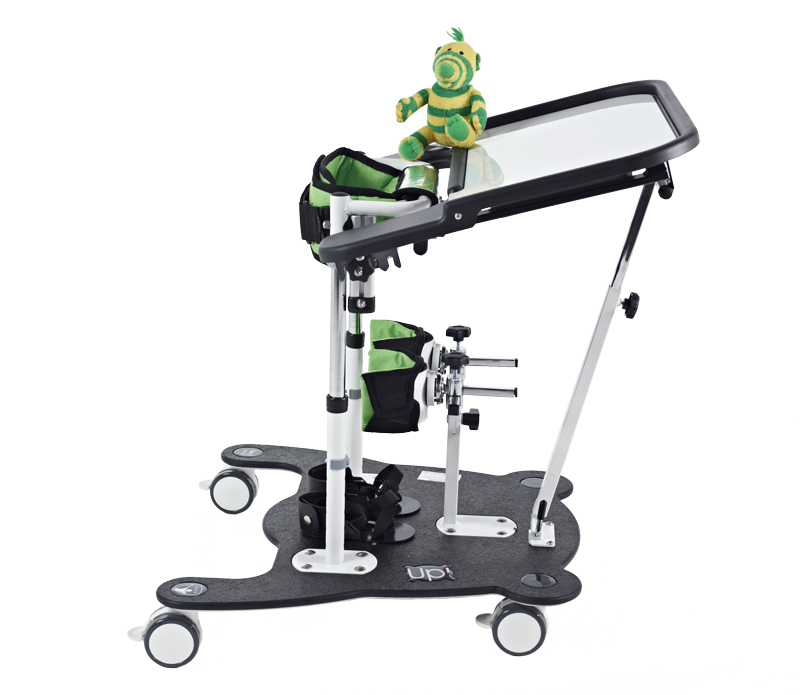 The Upi Multi Standing Frame is a vertical children's stander which is available in three sizes, suitable for children from 3 to 14 years of age. 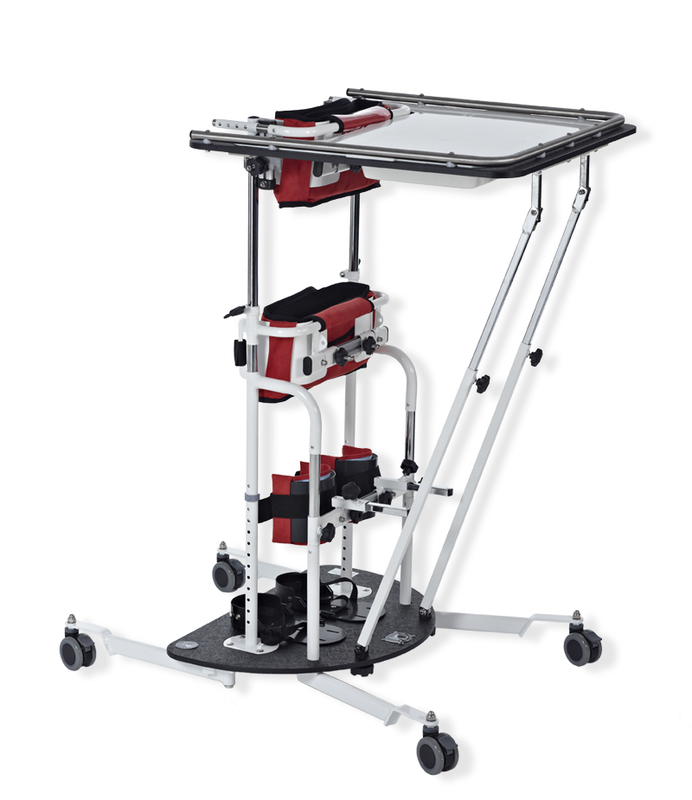 The Upi Multi Standing Frame is unique in that it provides the therapist with two standing solutions in one - a hip stander and a fully supported vertical stander. 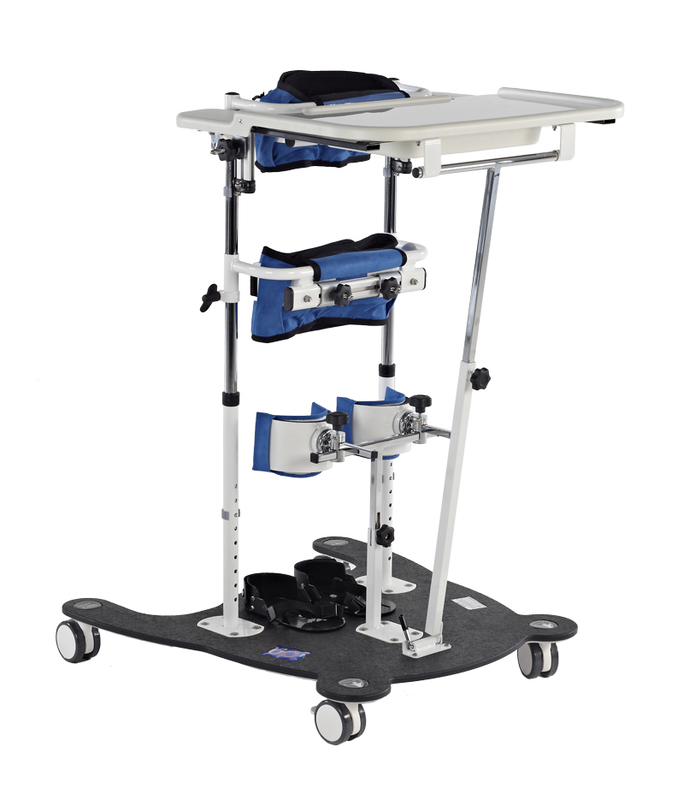 The Upi Multi Standing Frame is unique in that it provides the therapist with two standing solutions in one - a hip stander and a fully supported vertical stander. 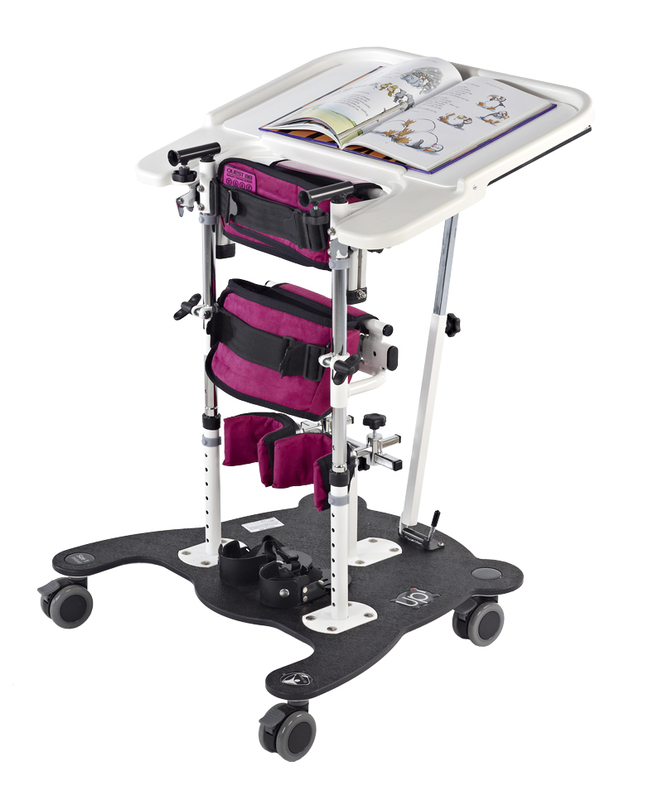 The Upi Multi Standing Frame incorporates an adjustable tray and activity bowl as standard. 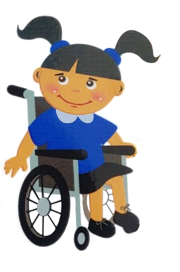 The knee supports are adjustable in all necessary planes to enable therapists to find the optimum position with little fuss. The base castors are designed to be locked either by hand or foot. 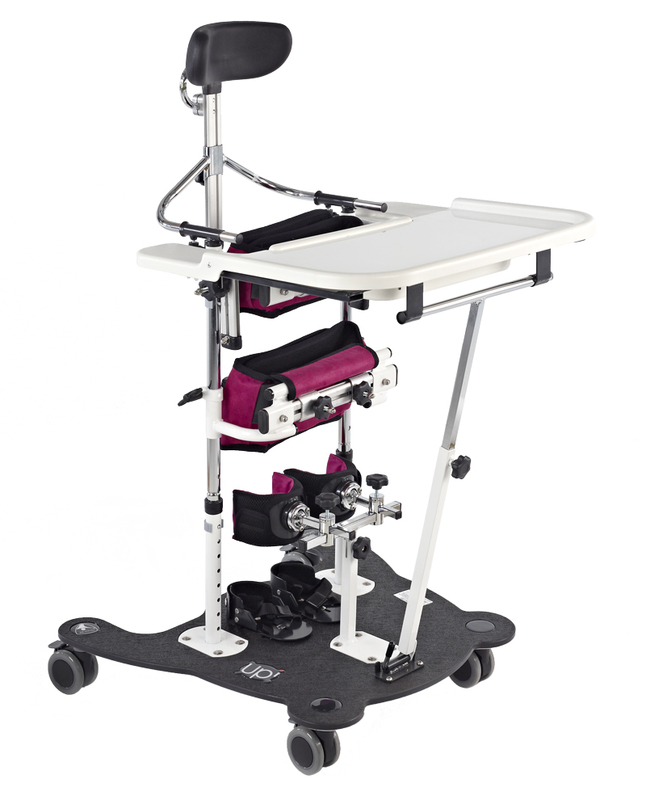 Optional accessories for the Upi Multi Standing Frame include a head support unit, grab bar, a tray infill pad for safe play, thoracic infill panel to stop wandering fingers, extra long upholstery, synthetic lambs wool knee cup liners and knee hyperextension straps. 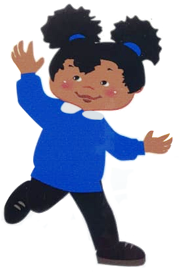 Colours available in royal blue, fuchsia pink, apple green and red for upholstery depending on size.